A mishap occurred in the scientific lab while attempting to increase the armored powers of the Iron Hero to fight with the futuristic war machines. 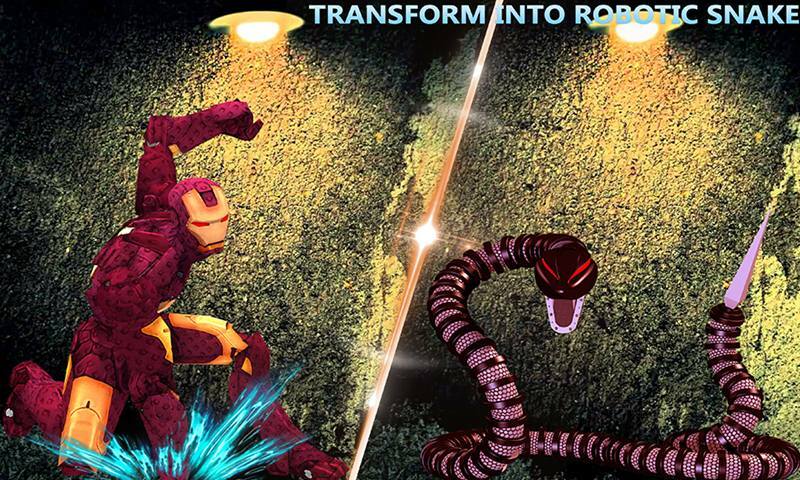 However, the result is going horrible wrong now the Iron Hero is transform into a robotic anaconda in the Multi Snake Iron Hero Vs Futuristic Robots action simulation. The Iron Hero is now uncontrollable due to extra ordinary transform powers and attacking skills. 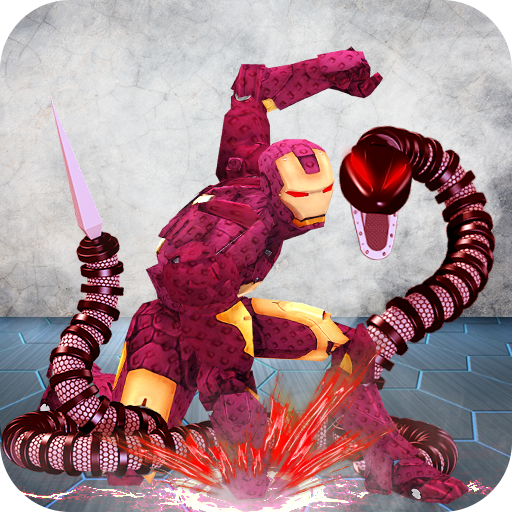 When Iron Hero converted into robotic snake, it will destroy any thing that comes in his way. The people of the grand city migrate towards the safe lands due to futuristic robotic battle. 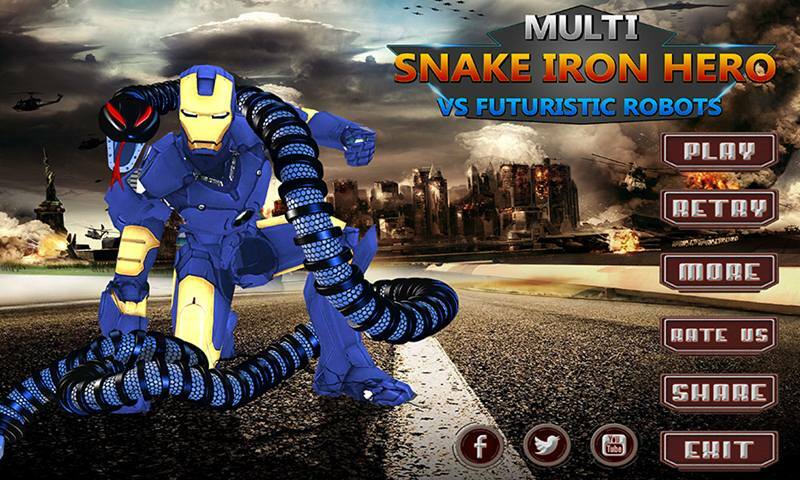 Multi Snake Iron Hero Vs Futuristic Robots action simulator especially designed for robotic war games and robot games lovers. Unlike the other multi spider hero, multi bat hero and multi captain hero, here you are going to challenge the robotic monster machines. These predator robotic machines are spitting fire on the people and the skyscrapers buildings to demolish the grand city. These robotic machines are control by the docile Cyber robot and the vicious gangsters. 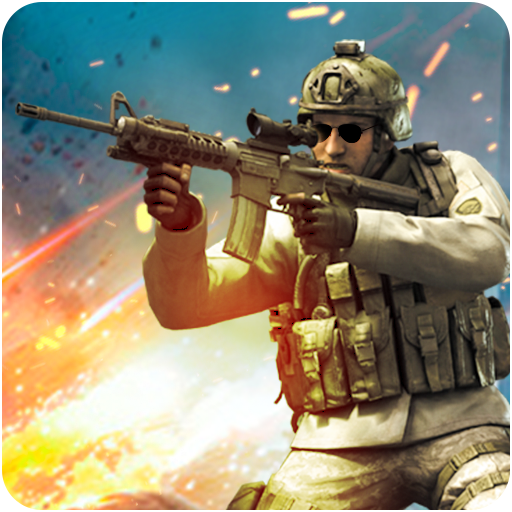 3D realistic environment and the deadly battle made this game addictive. Enjoy the futuristic robotic battle league in Multi Snake Iron Hero Vs Futuristic Robots action simulation that contains the all excitement and thrilling missions to play. You have to make confrontation with the steel robot machines and with the deadly gangsters. 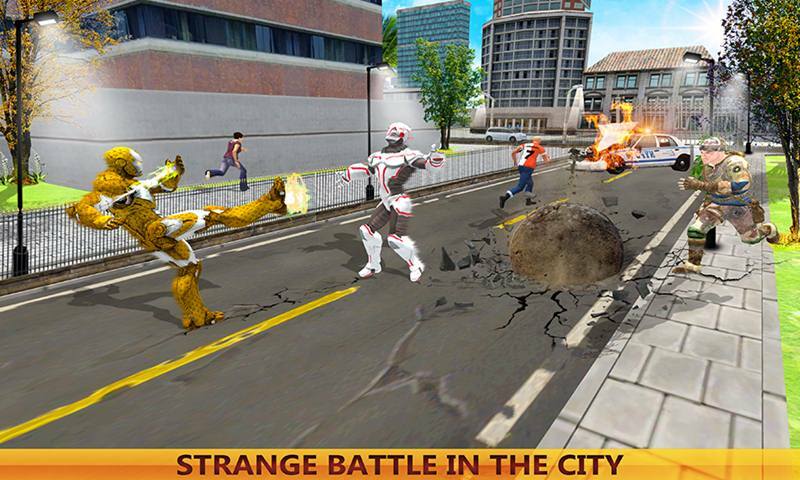 Choose your favorite Multi Iron Hero with Robotic snake to save the people from the curse of mad scientists. Playing as Iron Hero, you can attack with ice fire, backflip kicks, punches and strange combos to downfall the deadly rivals. The Robotic Snake can bit with their poison teeth and spitfires like the dragon on the enemy. Beware from the conspiracy of the ultimate Cyber robot because this malware-programmed machine is controlling the war craft machines. It could be dangerous for you, the cyber robot can also attack on you with nimble martial art skills. The war robots are filling up with the lethal weapons in their arms and they can crush any enemy with their guns fires. 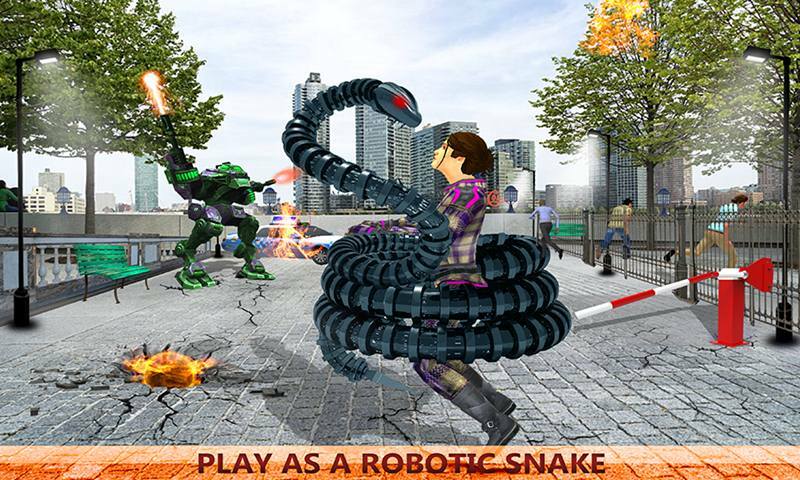 Show your terrific fighting skills and defeat your enemies to get more score in this Multi Snake Iron Hero Vs Futuristic Robots action simulation. You can easily unlock the other multi Iron Hero and mythic robotic snakes. Smooth controls and realistic fighting sounds made this game crazier. • Multi Iron Hero and Robotic Snake to play. • Crazy transform into deadly robotic snake. • Ultimate cyber Robot and monster war machines to fight. • Mess with agent mafia and criminals. • Intuitive and challenging gameplay. • Thrilling missions placed in modern 3D city environment. 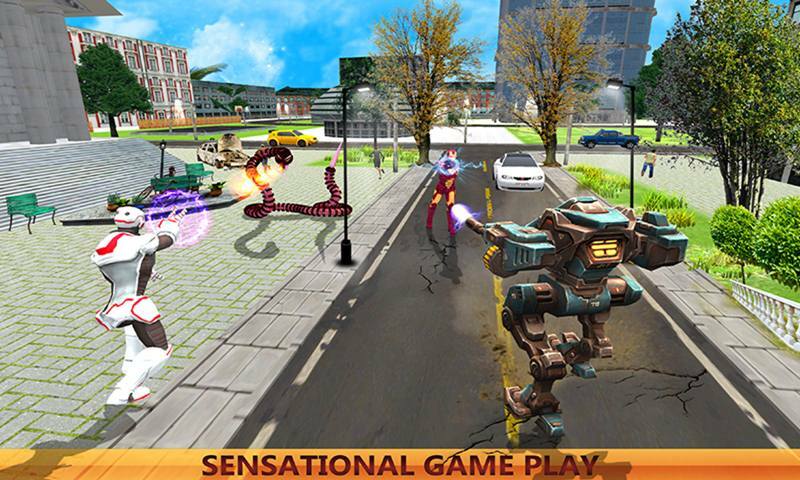 Get ready to enjoy the sensational Robotic war game in Multi Snake Iron Hero Vs Futuristic Robots action simulation. The evil war machines are smashing the beautiful city, appraise the angst feeling of the people of grand city they really need your help. Choose your favorite multi Iron Hero with fascinated robotic snake in this action simulation and make devastating entry in the robotic gaming world.